The release of ODFW’s annual wolf report is a big deal. As the keepers of the numbers – and keenly interested in public perception – the agency is always sure to give reporters a heads up and ensure their narrative becomes the narrative. Regardless of the numbers, ODFW tends to paint the rosiest picture they can and are always sure to thank the livestock industry. While we wait for the release we are relegated to an office-wide guessing game. Our Communications Manager must have had some inside info, because he hit the number on the head! For the record, I asked that my number be reduced if the report was released on a Friday or after 3pm. Once the report is released, we hurriedly crunch the numbers as reporters on deadline call to ask for our thoughts. In recent years it’s been easy to say the numbers were good or bad. This year was much more of a mixed bag. Our initial response to ODFW’s report is here – and for good measure, here’s ODFW’s take, and here's the full report. The short takeaway is that Oregon’s wolf population increased modestly (13 animals), but Western Oregon has a long way to go (only one additional wolf). We also noted that the numbers continue to show that if ODFW’s goal is to see wolf recovery with less killing and conflict, the agency needs to radically rethink its current path. When ODFW prematurely delisted wolves, they created a model that was roundly criticized by independent scientists. The model assumed wolves would grow by no less than 7% per year. According to that worst-case scenario, Oregon’s wolf population should be at 135 animals. A modest increase is good news, but at just two more than the worst-case scenario, we’re wondering just how much we should be celebrating! Notably, when the legislature voted on Governor Kate Brown’s bill to insulate the illegal delisting decision from judicial review, Senator Whitsett made an even less scientific prediction. He said by 2018 Oregon would be home to no less than 430 wolves. He wouldn’t have won our office pool! In the good-news category, for the first time since World War II, Western Oregon is home to two breeding pairs of wolves! That news is tempered by the fact that the net population gain for Western Oregon was only a single wolf. The slow growth of wolves in Oregon isn’t just about deaths. Three wolves dispersed into California. The best piece of news is that the numbers of breeding pairs increased. That number may be the best indicator that recovery could get back on track soon. In the three years since wolves were stripped of ESA protections, the wolf population has grown by something just shy of 25%. At the same time, livestock predation has increased 211%. In that same time we know the cause of 27 wolves that died. Only two died of natural causes. Two. In sharp contrast, in the three years prior to delisting, the state operated under a settlement agreement in Eastern Oregon. The state didn’t kill a single wolf. They didn’t have to. Even as the wolf population grew by 139%, livestock predation increased at 1/10th that rate. 2015 was the last year that ODFW didn’t kill wolves. There were 9 incidents of predation on livestock. In 2018 after three years of wolf killing, there were 28 incidents. Sadly, ODFW’s proposals to change the Wolf Plan double down on the current model. That’s the model where it’s easier to kill wolves, wolf recovery has tracked their worst-case scenario, and livestock predation has increased at 8 times the rate of the population. What makes that so frustrating is that the agency knows better. They’ve had real world success where conflict decreases even as wolves recover. Without leadership from Governor Brown it seems that along with an annual thank you from ODFW, the livestock industry is likely to get their wish for trophy hunting, less requirements to prevent conflict, and more dead wolves. Seven wolves are known to have died last year. Six were killed by people (3 by the agency, 2 by poachers, and 1 likely due to a collaring operation). That’s in line with the numbers from the last decade. 44 wolves are known to have died since 2009. Only 4 died of natural causes. Speaking of poaching. ODFW loves to use euphemisms when it comes to wolves. Wolves “kill” livestock, the agency uses “lethal control” on wolves, and trophy hunts are “controlled take”. For some reason, the agency can’t bring itself to say the word “poaching” when it comes to wolves. Instead they call it “unlawful take”. Perhaps that’s because a segment of the constituency ODFW calls their “customers” likewise cultivate a culture of permissiveness when it comes to poaching controversial wildlife. Kill an elk out of season and it’s poaching. Kill a wolf where there is no season (yet) and it’s management or unlawful take. Three wolf packs – the Harl, Meacham, and Shamrocks “appeared to break up and leave their territories.” Notably at least 2 of those packs have recently been subject to recent intentional killing. The third is regularly rumored to have been subject to intense poaching. In another sad note, another of Oregon’s historically important wolves may have quietly left us in 2018. The Wenaha Wolf Pack didn’t often get headlines, but were the first confirmed to breed in Oregon in nearly a century. Sadly, according to the report, “the breeding female…disappeared during the summer and reproduction was not documented. [She] was at least ten years old and appeared in poor condition”. It’s a reminder that despite headlines of conflict and controversy, most of the time, wolves are quietly living their lives. Despite complaints from the livestock industry, ODFW is spending a fortune collaring wolves. In the last three years, the agency has collared 44-wolves. That represents a doubling of the previous three years. Given that collaring is dangerous to wolves and humans alike, it’s hard to argue ODFW isn’t doing enough on that front. Doubly so given that the state provides telemetry data, receivers, and ATV’s to members of the livestock industry and allows them to be used in state-approved wolf hunts. This year’s wolf report was a mixed bag but relatively short of spin and unpleasant surprises. However it’s a stark reminder how the agency is captured by the livestock industry, hunting interests, and other consumptive users. Two-years ago, the agency said wolf counts were likely low because there was too much snow. Last year there wasn’t enough snow. This year they counted into April. Even so, the latest report appears to validate the stark reality that wolf recovery has slowed since they were stripped of protections. Three years is no longer an anomaly. It’s a pattern. 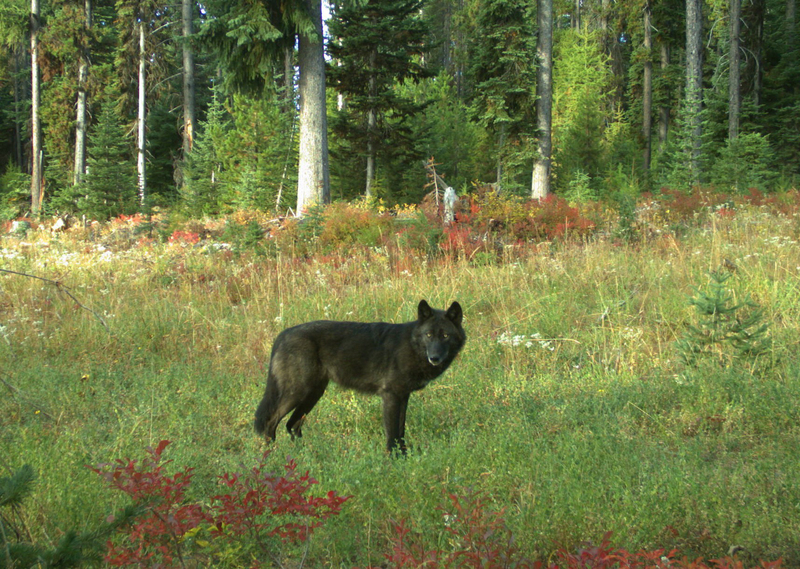 Even by ODFW’s own model, wolf recovery is tracking their worst case scenario. Yet Governor Brown’s agency appears dead set on doubling down on the paradigm. It’s especially frustrating that the agency – and Governor Brown – knows better. From 2012 to 2015 Oregon followed a model that led to less killing, less conflict, and more wolves. Thousands of citizens, dozens of scientists, and the conservation community have all advocated for radical idea that the agency follow a proven model of success. If there is credit to be taken in the modest growth, it’s in the astounding resilience of wolves and the public’s passionate advocacy. Year-after-year, you have fought alongside us and independent scientists against the campaign to make it easier to kill wolves. Even if it’s frustrating that the agency thanks those who push to kill wolves and generally disregards us, be sure, it matters a great deal. We’re not going anywhere! The report was also a stark reminder of the need for Governor Brown to stand up not just in her own state, but also to the Trump administration. The administration has proposed to follow Oregon’s lead and prematurely strip wolves of ESA protections across the country. If that happens, all of Oregon’s wolves including the fifteen in Western Oregon will be managed under ODFW’s outdated wolf plan – a plan that allows trophy hunting with state-purchased telemetry equipment. Imagine what the headlines would look like if Oregon was only home to 137 known elk or bald eagles! When it comes to wolves, Governor Brown’s silence has been deafening. It’s time for her to step up and make changes to an agency that regularly spins what some could characterize as failure into success and then chooses to double down. Wolf photo credits to ODFW. Whiteboard photo & dead wolf - Oregon Wild.